Gold has been revered by humanity for millennia as a decorative expression of status and a way to measure monetary wealth. It can be found pure, it doesn’t tarnish with use, and is easily worked. So far so good, and gold is still valued for those exact properties today. However, from a chemical perspective it was long considered inert, and other rarer, more expensively extracted metals became the darlings of catalysis. More recently, in a similar manner to the development of noble gas chemistry, there has been a surge of discovery and development in the uses of gold as a catalytic material. Rodriguez and Koper provide a fascinating review of the surprising catalytic properties that have been discovered over the last few decades, with a focus on electrocatalysis. They gather up various findings from all over the world, consolidate them and tease out the recurrent themes. It seems that gold catalysts are not easily poisoned, which can only be a good thing, but can be very choosy about the types of reactions they will catalyse, with different surfaces even having different catalytic preferences. All this suggests an electrocatalyst with the potential to be highly tuneable. If that pricks your curiosity then I strongly suggest that you read this perspective article, which surely forms a useful basis for future investigations. It is a problem that everybody is familiar with; the increasing levels of carbon dioxide present in the atmosphere as a direct consequence of the industrial activity of humanity are contributing to climate change. New carbon capture technologies are therefore big business and big politics, with enormous quantities of time, money and rhetoric devoted to the subject the world over. There is an expectation that scientists will somehow save the human population from itself, preferably quickly, safely, cheaply and without the general populace having to radically alter their lifestyles. Whilst I’m not necessarily saying they’ve found the answer, Sun and co-workers have certainly hit on an idea that merits further exploration with their study of solid boron as a new candidate for carbon dioxide capture. Their calculations predict that the amphoteric nature of certain boron allotropes means that they will spontaneously form strong Lewis acid-base interactions with multiple carbon dioxide molecules per individual boron structure. I’m sure that there are plenty of researchers out there who could experimentally verify the predictions of this computational study (which the authors state was motivated by the desire for somebody to do just that) and develop their findings to the potential benefit of the entire planet. The only question, surely, is who will get there first? If you enjoyed this, you may also be interested in our Faraday Discussion on Carbon Dioxide Utilisation which will take place in Sheffield in 2015 – find out more on the website. PCCP is delighted to announce the high-profile themed web collection on ‘High performance computing in the chemistry of materials’. It is our pleasure to invite submissions for this collection. Accepted articles will be published in Physical Chemistry Chemical Physics (PCCP) as and when they are ready, with a web collection prepared in 2014. The applications of high performance computing (HPC) now play a major role in almost all areas of chemistry, but they are particularly effective in the field of materials chemistry. HPC is now being used in an increasingly predictive manner in modelling the structures (both surface and bulk), properties and reactivity of materials; and modelling techniques are now widely used in a complementary manner with experiments. Manuscripts can be submitted in any reasonable format using our online submissions service. Submissions should be high quality manuscripts and will be subject to rigorous peer review. Please indicate upon submission that your manuscript is intended for this themed collection. The deadline for submissions to the collection is 17th March 2014, though submissions before this date are of course welcomed. PCCP is delighted to announce a high-profile themed issue ‘Organic Field Effect Transistors’. It is our pleasure to invite you to submit an original research article for this themed issue. The vast majority of research on OFETs has focused on developing the semiconductors, with relatively little effort devoted to identifying a dielectric that would also ameliorate the device efficiency. The interaction between the semiconductor and the dielectric is crucial, yet it remained unexplored until very recently. Additional insight into the interaction between the radicals of the semiconductor with the dielectric could lead to fabrication of OFETs with low operating voltages which would be better suited to large scale commercialisation. A few initial reports show that limited doping can have a positive impact on device performance. Understanding the magnitude of doping and the concurrent band edge modulation would be useful to fabricate highly efficient OFETs. The exploration of electrolytes to identify the nature of ions required as the dielectric and its diffusion could open a new area of research. Flurocarbon containing semiconductor based OFETs have been widely demonstrated to be n-type transistors: understanding the underlying mechanism for this phenomenon could lead to new and exciting developments in the field. 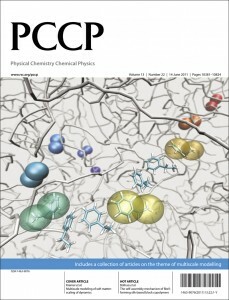 This themed issue in PCCP aims to provide new physical chemistry insights into these and other questions, providing a better understanding of how and why current devices function. Such knowledge and understanding will be essential in the quest to further enhance the efficiency of OFETs. Manuscripts can be submitted in any reasonable format using our online submissions service. Submissions should be high quality manuscripts and will be subject to rigorous peer review. Please indicate upon submission that your manuscript is intended for this themed issue. The deadline for submissions to the themed issue is the 2nd June 2014, although submissions before this date are of course welcomed. Accepted papers will be published online as soon as they are ready, to avoid any delay. The work of PCCP Advisory Board member Professor Elangannan Arunan on noncovalent bonding interactions has been highlighted in the latest Edition of Chemical & Engineering News. The so-called “carbon bonds” have been suggested as the force behind the hydrophobic effect. When Is A Hydrogen Atom Not A Hydrogen Atom? When It’s Pretending To Be A Coinage Metal! Hydrogen demonstrates a staggering variation in its interactions with other materials. When it encounters metals, the norm is for it to dissociate and then chemisorb as atoms carrying a negative charge. It has already been established that this is not the case when hydrogen chemisorbs onto gold. It can chemically mimic gold atoms in clusters as gold has a high electron affinity and is isoelectronic to cationic hydrogen. Vetter et al. have conducted a study to determine whether this behaviour extends to the other coinage metals, despite their lower electron affinities. The group employed high level calculations to predict the molecular orbitals of both the pure metal clusters and those where one of the metal atoms was replaced by hydrogen. They also recorded photoelectron spectra of the clusters so that their theoretical results might be backed by experimental findings, thus enabling a more thorough interpretation. Their results are interesting, suggesting that although the charge on the hydrogen atom remains negative as one would expect at lower electron affinities, the structure of the cluster remains unperturbed, as in the gold case, when the original metal cluster is sufficiently large. This naturally leads to speculation about the comparative reactivity of these monohydride clusters, and the authors’ findings on the subject are eagerly awaited. There can be no doubt that fullerene research is both interesting and varied; we have created carbon nanotubes from them, we can put things inside them, they have diverse medical uses, and recently evidence has been presented suggesting that they are found in space. 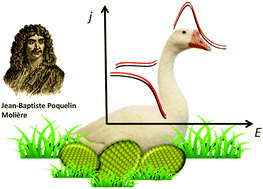 In this paper, Raggi et al. take a computational approach to investigate the dielectric properties of C60, the smallest of the fullerene family, and the first to be predicted and discovered. The results of their study are quite striking. They found that by varying the distance between the fullerene and the point charge, the surface charge density of C60 can be manipulated. In other words, they predict that one could selectively polarise a fullerene molecule to a greater or lesser extent. They were also able to predict the separation parameters necessary in order to achieve this, including identifying the tipping point at which the charge distribution is expressed as a purely positive hemisphere and a purely negative hemisphere. This study has important implications for future studies into fullerenes as it demonstrates that assuming a uniform surface charge density can only be valid above a certain threshold separation from the point charge. As well as being important to the understanding of fullerene-ion collisions, this new insight could potentially lead towards an understanding of fullerene fission mechanisms. Congratulations to Professors Martin Karplus, Michael Levitt and Arieh Warshel who were jointly awarded the Nobel Prize in Chemistry 2013 “for the development of multiscale models for complex chemical systems”. The ability of scientists to model ever more complex systems in a shorter time-frame has been an important development over recent years, enabled by advances in computing power coupled with exciting new approaches such as that established by Karplus, Levitt and Warshel. 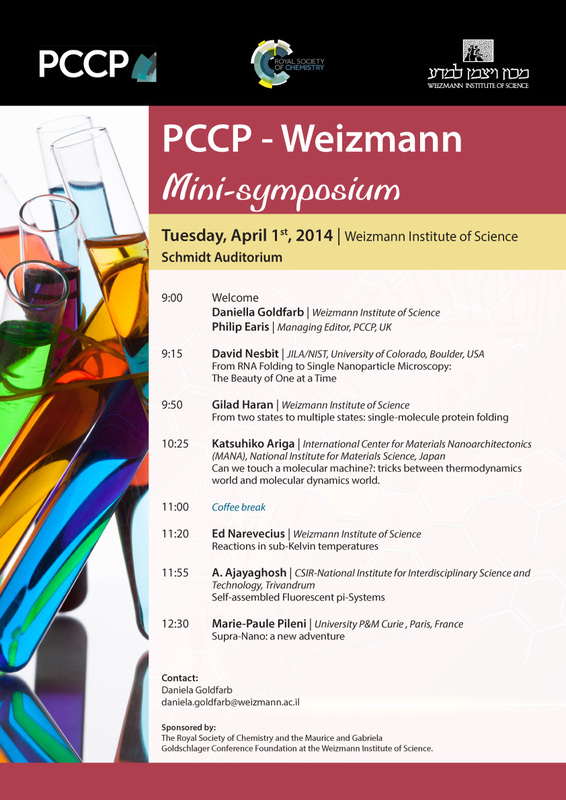 Check out the full PCCP themed issue on Multiscale modelling today to find out more about this Nobel Prize winning field!